Chances are you're invited to at least one wedding this season... or perhaps you'll be getting married yourself? Weddings are memorable occasions, one of the happiest days in a couple's life, and a chance for all their friends and loved ones to share in their celebration. 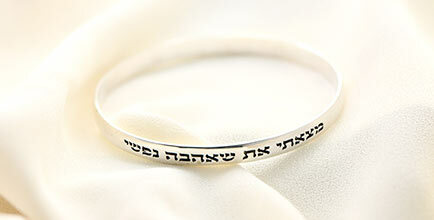 We've put together our brand-new Jewish Wedding Rings Collection for you and also much much more for you're loved ones, like our Kabbalah Jewelry Collection or Chai Necklaces to help make sure the big day is the stuff dreams are made of. The three most important parts of your bridal ensemble are your gown, your smile, and your bridal jewelry. 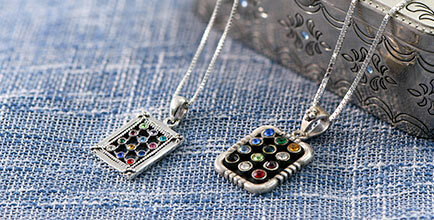 Personalized jewelry makes a great attendants' gift! 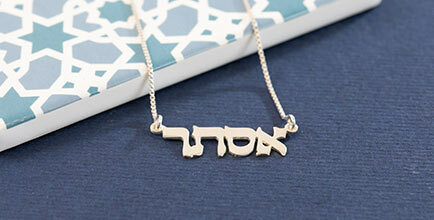 Engrave a Hebrew name on a necklace, put an initial or monogram on a beautiful piece of jewelry and your bridesmaids will cherish it forever! We understand the importance of the wedding budget, so we are offering fabulous discounts on some of our most popular bridal and bridesmaid jewelry sets. After spending endless hours selecting your unique bridal gown and bridesmaid dresses, make sure your accessories provide the perfect finishing touch. Our collections are designed and selected to complement today's wedding styles. Since spring and summer months are especially popular for weddings, the beginning of each year is when brides have most of their planning and decision making to do. 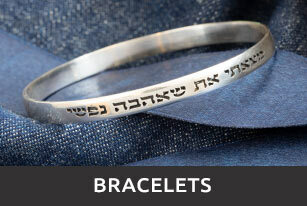 With our fantastic Hebrew jewelry, you can already check off bridal jewelry, bridesmaid jewelry, and flower girl jewelry off your to do list with our great selection of items! We offer urgent delivery on all of our bridal jewelry, bridesmaid jewelry, and flower girl jewelry, so you can still get the custom made pieces you love in time for your wedding! Simply choose URGENT delivery at checkout and your order will ship within 7 days instead of the standard 2-3 weeks. 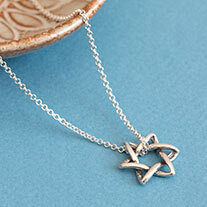 What better way than to personalize your day than with our fashionable Hebrew jewelry. 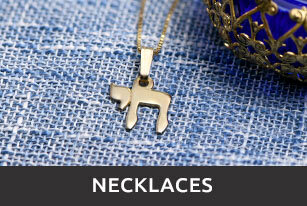 These affordable items are now available online at Israel Blessing. 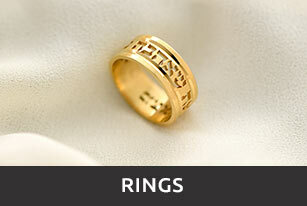 Make sure you finish your wedding preparations at ease, with exclusive personalized jewelry delivered to your doorstep!